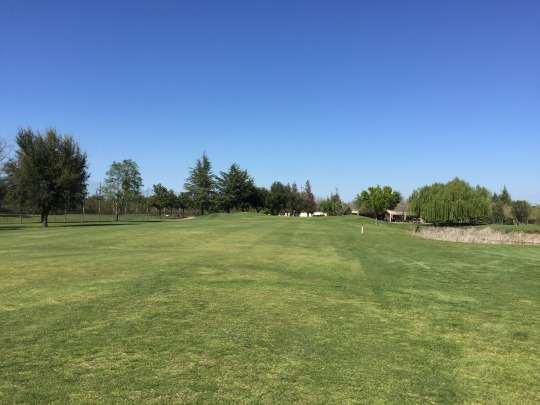 I have a lot to get caught up on after playing 99 holes of golf the past two days up in the Central Valley. I’ll break it up into two big reviews. 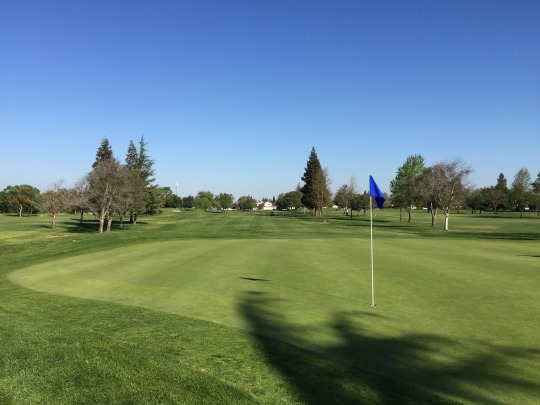 This first one will cover Thursday’s play in Modesto at Modesto Municipal Golf Course, Creekside Golf Course and St. Stanislaus Golf Course. I got there early and a lot of older guys were already gathering outside the small pro shop. I was worried I caught the course on a men’s club day, which I did, but fortunately they let me know they weren’t starting play until 8:00. We still had to wait for the lady to show up and open the pro shop (which happened around 7:15). After that, I checked in, paid my $10 to walk nine holes, and was on my way to the first tee. I enjoyed my own nice pace way in front of everyone and was finished about 1.5 hours later (walking pace). 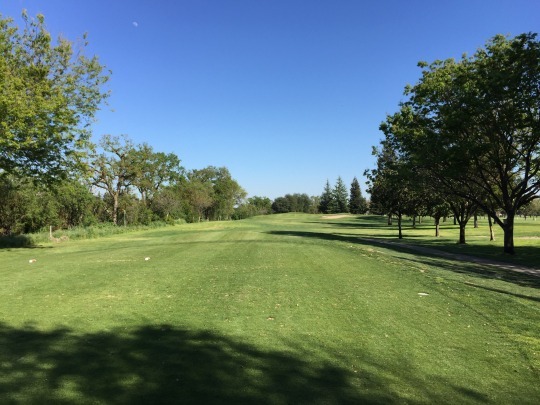 Modesto Municipal is a 9-hole regulation-length course that plays to a par of 35 and tops out at 2,969 yards. 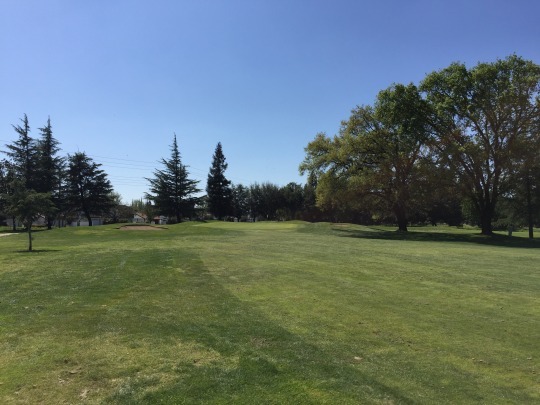 It is also home to The First Tee of the Central Valley. It’s a pretty traditional old layout with flat terrain. 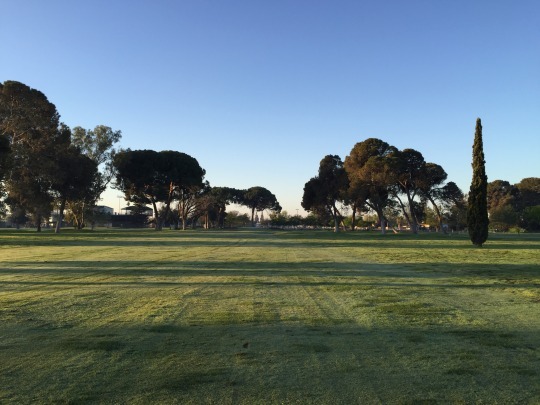 It runs back and forth through the parkland with tree-lined fairways and a few slight doglegs. Otherwise, it’s a rather straightforward design. It’s not anything that interesting, but it’s fine for what it is. The conditions were better than I would have expected. This area has gotten a lot of rain this year, so all the courses seem to be showing the benefits. Modesto Municipal was quite lush and green throughout. 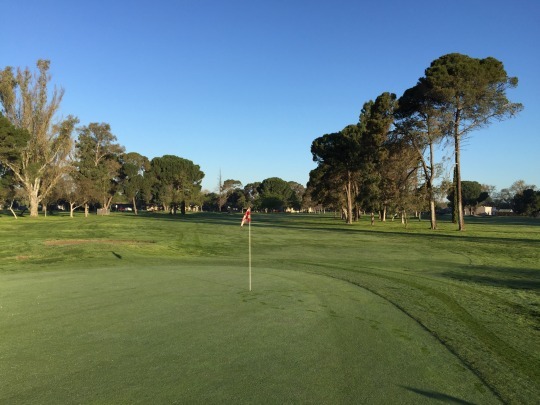 There is a hodge podge of grasses in the fairways and rough (big patches of weeds in the rough, too). 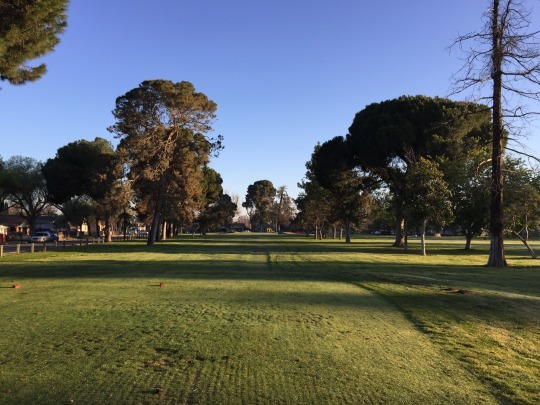 The fairways weren’t always consistent, but way more good than bad and definitely better than one could hope for on a $10 muni track. I was in one bunker and it was pretty good. The greens were slow and at times bumpy, but decent enough. 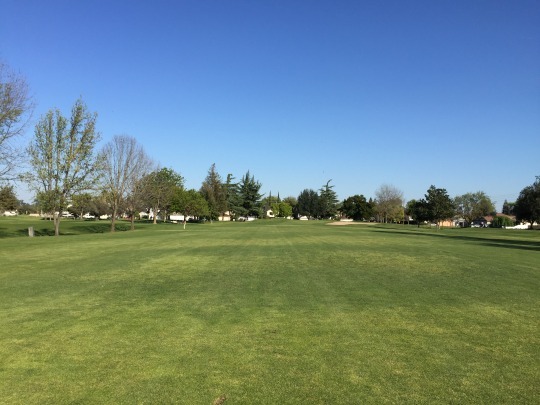 There isn’t too much to say about Modesto Municipal Golf Course. 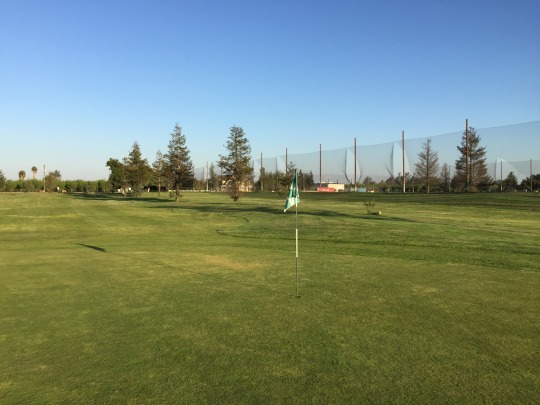 It’s there for locals to enjoy and it’s okay enough as a very inexpensive 9-hole course. I had a 2:30 tee time set here. I got there somewhat early and they sent me right to the first tee by myself a little before 2:00. It was stacked with groups ahead, so I just played slowly. Luckily, a twosome caught up and joined me on the 3rd tee. We also gained another single at the turn. Still, the overall pace was just a little over four hours, which was great on such a busy afternoon. 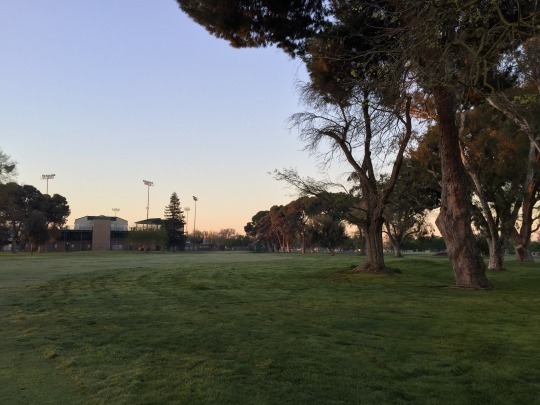 Unless you can get on one of the couple of private courses around here, it seems Creekside is the favored municipal course over Dryden Park. That said, some of the locals I met on the trip seemed to have a real fondness for Dryden. By all accounts, Creekside is at least the better conditioned of the two. 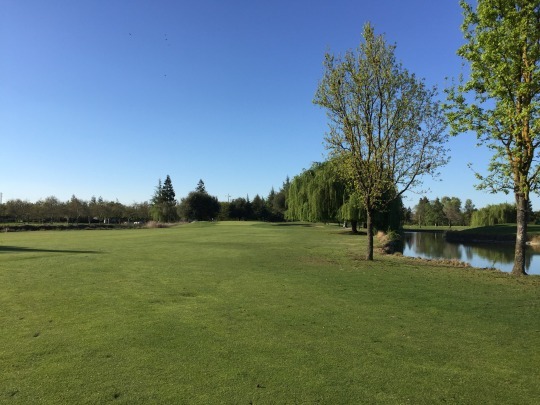 A reviewer on Greenskeeper.org referred to Creekside as one of his “confidence courses,” because it has a very forgiving layout. I found that to be the case, as well, as I had one of my best rounds in a long time. 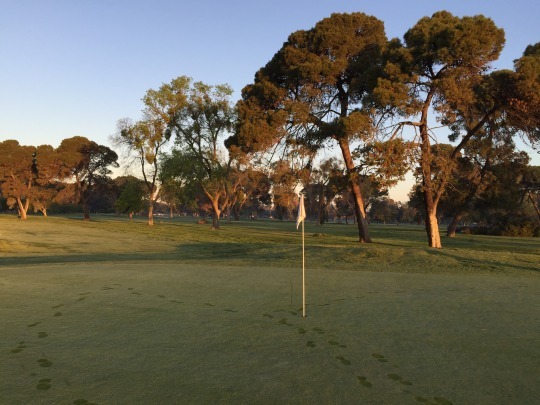 The fairways are wide, the greens are large and there’s not that much trouble to get into. A good score can easily be had here. 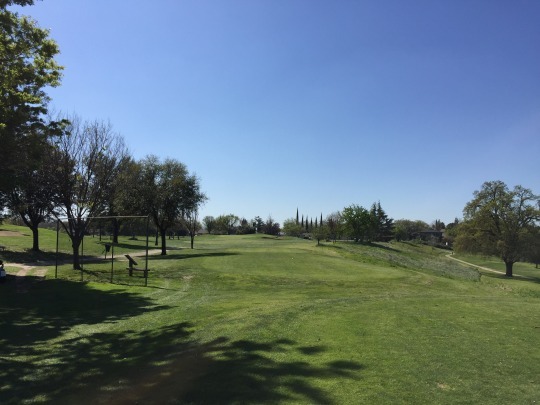 The front nine offers some more diverse terrain (especially in the middle stretch of holes 5-6). It has some bigger doglegs, but at the same time it is much more wide open from tee to green. 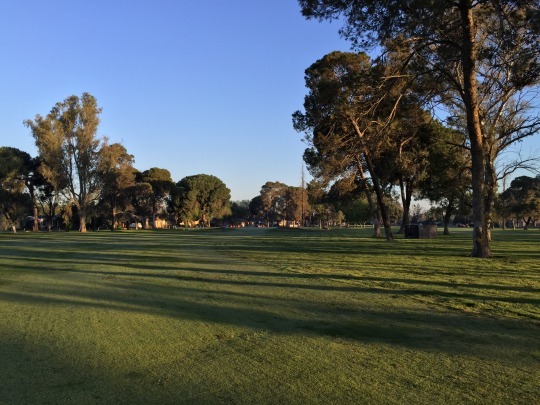 The back nine tightens up some with the trees feeling more in play and narrower fairway cuts. However, the layout on this side is much more straightforward with holes running parallel back and forth. That means you can get away with spraying your drives sometimes. 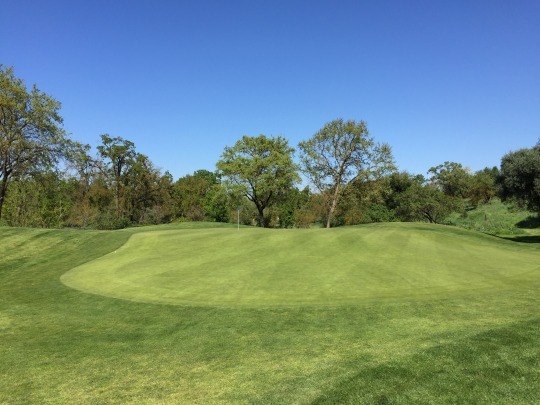 The greens are very big and have some tricky undulation, so that is probably the course’s only real defense. My favorite holes were the 5th and the 18th. 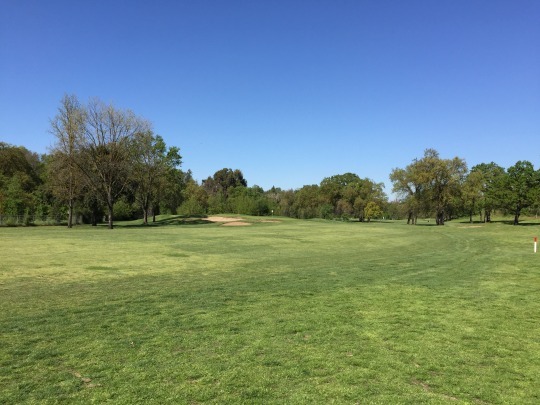 The 5th is a big sweeping dogleg left par-5 that works around the edge of the property. 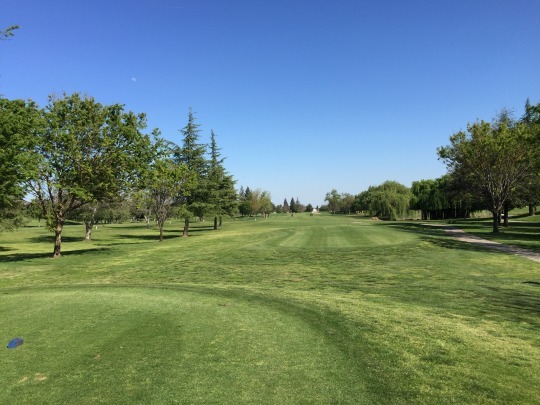 The 18th is a tricky 90-degree dogleg right par-4 with a water hazard along the right and then another hazard on the far side of the fairway. 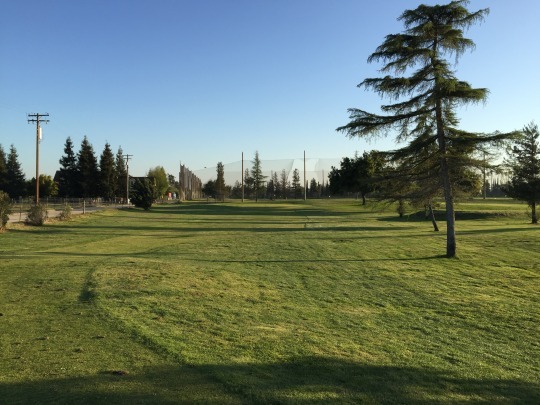 Big hitters can bite off a lot of the corner, but they have to be careful not to hit it too far and into the second water hazard. Creekside was in good shape all around. It is green and looks to be coming into its best part of the season. The tee boxes were fine. 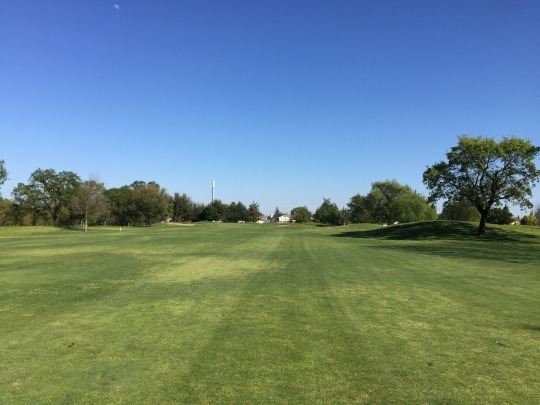 The fairways were generally quite good with just a few weak areas scattered throughout. The rough was pretty good, but a bit inconsistent with some thin spots and some really thick/deep spots, and everything in between. I was in one bunker and it had good sand. The greens were very nice, soft and receptive on approaches and rolling smooth at medium speeds on putts. I did fix up my share of ball marks, though, from discourteous players ahead. 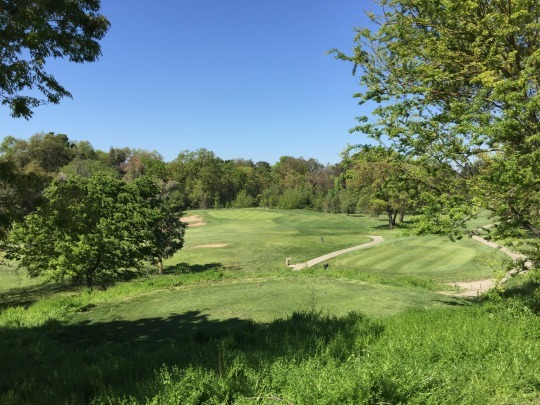 Creekside is not a course that will really “wow” you and it’s not worth going too far out of your way to play. However, it is reasonably priced and well-conditioned to make it an appealing local option to play if in town. And yes, it can be a real confidence booster. 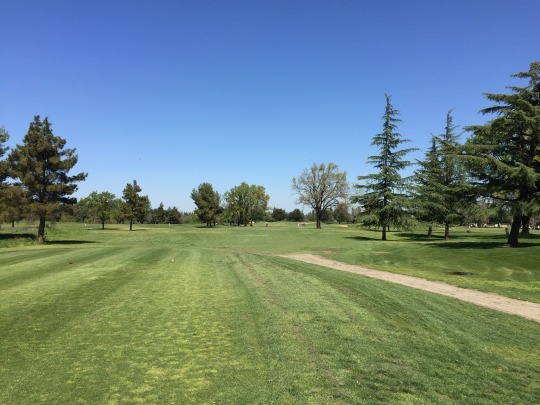 I kind of learned my lesson in Southern California when I skipped over all the “short” courses at first and then decided to go back and play them all later. In other parts of California, I want to maximize every day I can. 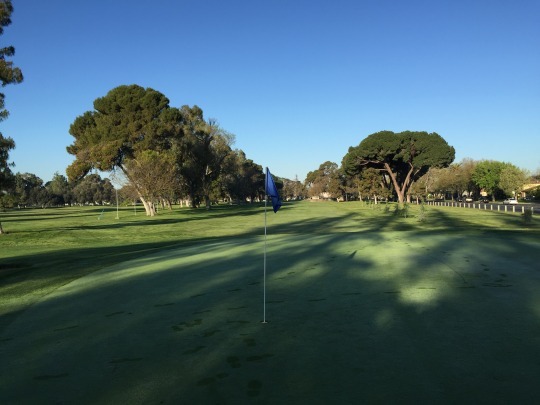 It makes sense to work in some shorter courses along with the full-length ones for the most efficient and comprehensive approach to playing as many as I can each day. St. Stanislaus was the perfect pick with the time I had left in the day. 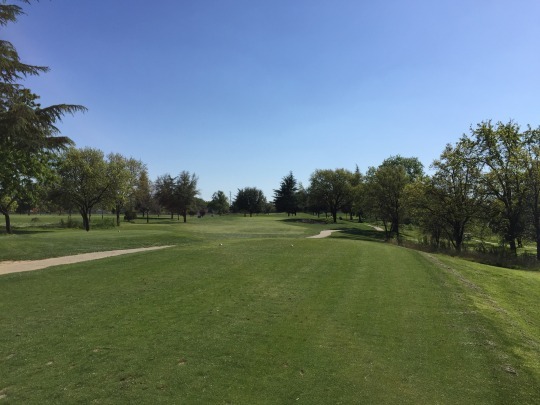 It is a 9-hole, par-28 course with just one short par-4 of 301 yards. This is mixed with a couple of really beefy par-3s of 227 yards and 226 yards from the gold tees! The shortest hole is just 87 yards. So, you get a bit of everything here. 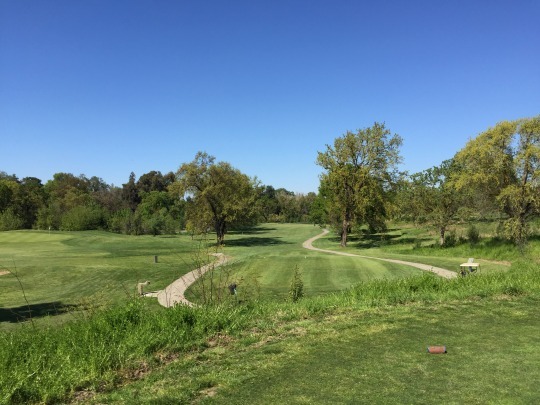 “Beefy” is a good word when talking about St. Stanislaus because it is really just a cow pasture disguised as a little golf course. There are actually cows in a field right next to one of the holes. The course is flat and pretty wide open. 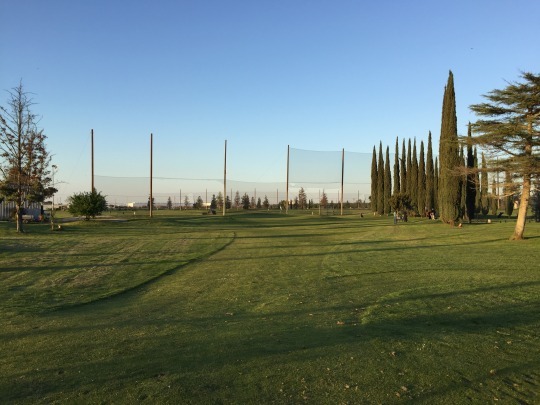 There is a big driving range in the middle of the property and then the course is split into two parts on either side of it. The layout is very basic and the conditions are appropriately mediocre. They weren’t bad by any stretch. In fact, everything was just fine for a course of this caliber. The greens were a bit bumpy and slow, but there was pretty good grass coverage everywhere else. 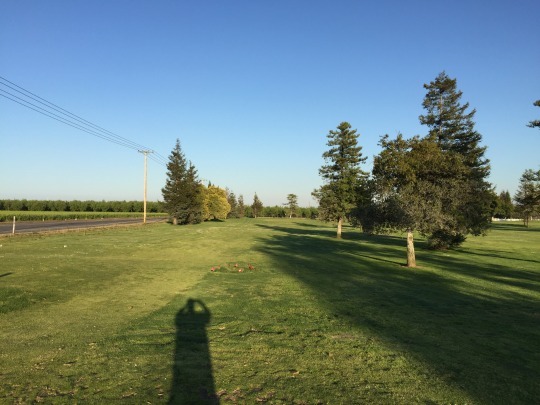 It cost $11 to walk nine holes and unfortunately there was a league out on the course consisting of three fivesomes. They were some of the slowest players I’d ever seen. 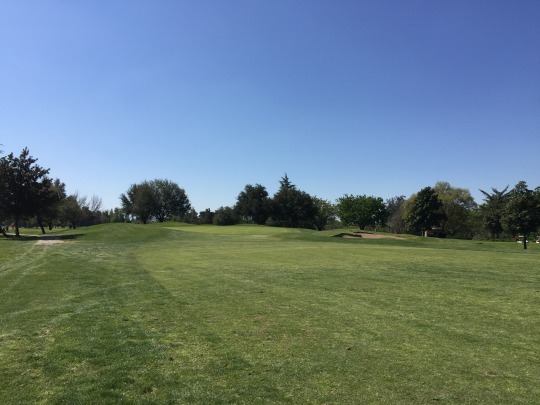 I did my best to jump around and play open holes, but ultimately had to wait on them a lot. I just barely finished before it was too dark to play. 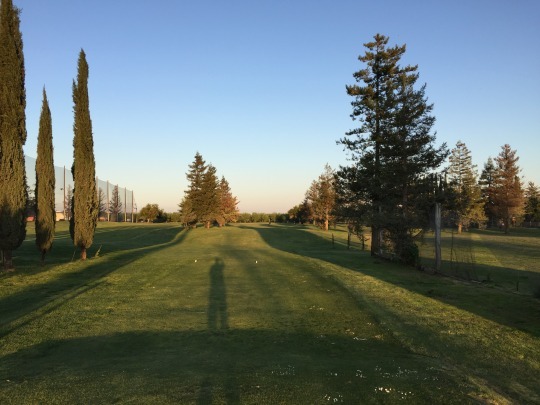 Considering Modesto Municipal was only $10 for a full-length course that was much better conditioned, paying $11 at St. Stanislaus seemed like kind of a rip-off. It seems like a $6-7 course to me, but oh well. There isn’t much more to say about it, but it exists and it was one more course to check out while in town for the day.